The temperatures are finally starting to cool off here on the Gulf Coast – and one of my all time favorite things to do when it is cold is to relax in a nice warm bubble bath. So when Independent Sweet Toy Delights Consultant Dina Wild said she was sending in a bottle of their Pink Champagne Bubble Bath for this year’s Diva Holiday Gift Guide, I was excited to check it out. Sweet Toy Delights Pink Champagne Bubble Bath is enriched with vitamin E and B5 to leave your skin silky soft and sensuous. It is even made with Real California Champagne and Pheromones to make your bubble bath a romantic endeavor. Sweet Toy Delights Pink Champagne Bubble Bath comes in a glass bottle that is full of 12 ounces of delicious smelling bath gel. Let me tell you – just a little goes a very long way! I put just a few drops in my tub and in minutes it was nearly overflowing with thick, rich, tiny little bubbles. 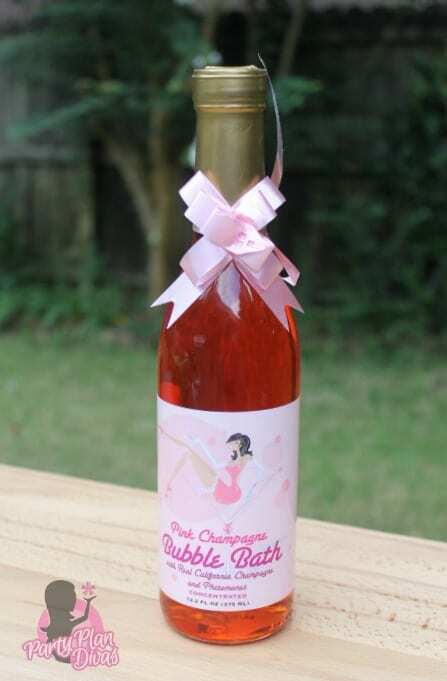 The Pink Champagne Bubble Bath would be a great gift for couples this holiday season. It would also be perfect for a bridal gift, newlyweds, and of course Valentine’s Day! It even comes already wrapped with a perfect little pink bow! Sweet Toy Delights is a direct sales romance company that is focused on providing the best products and service to our customers at the lowest prices possible. The owner has over 18 years experience in the industry so he also knows how to treat his consultant as well. Sweet Toy Delights offers some of the hottest products available today at great prices, a generous Hostess Program for those wanting to earn free goodies while sharing the products with their friends and an unmatched business opportunity for those looking to earn an income helping people have more fulfilled love lives. You can check out everything that Sweet Toy Delights has to offer by visiting Independent Sweet Toy Delights Consultant Dina Wild’s website.